Before you rush out to buy a pet costume, please consider the temperament of your animal companion. While it’s fun for us to play dress up with our dogs and cats, they might not be in the party mood. Don’t wait until Halloween to put the costume on your pet. Try it on a few days beforehand and if your dog or cat seems distressed, just settle for a seasonal bandana or consider just using part of the costume like a hood or a wig. 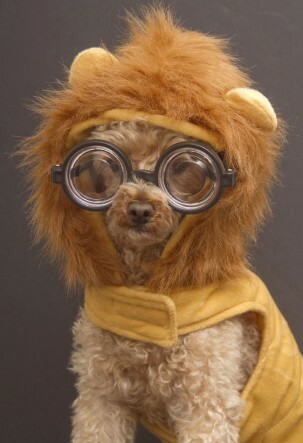 If you do have a pet who is happy to wear a full costume, make sure that it fits comfortably. The costume shouldn’t limit the animal’s movement, sight or ability to breathe, bark or meow say experts at the American Society for the Prevention of Cruelty to Animals (ASPCA). Also check the costume carefully for small, dangling or easily chewed-off pieces that could present a choking hazard. 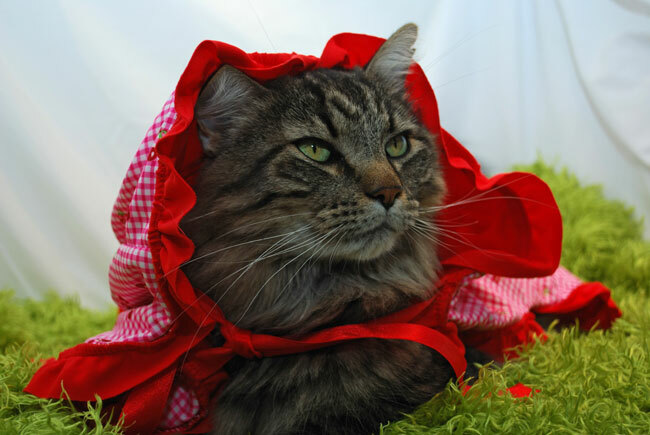 Ill-fitting outfits can get twisted on external objects and cause injury to your pet. Families who enjoy making their pets’ costumes can find a variety of designs at Martha Stewart Living. Don’t feed your pets Halloween candy, especially if it contains chocolate or xylitol (a common sugar substitute found in sugar-free candies and gum). Make sure your pet is properly identified (microchip, collar and ID tag) in case he or she escapes through the open door while you’re distracted with trick-or-treaters. Never leave a pet unsupervised while he or she is wearing a costume. Keep glow sticks and glow jewelry away from your pets. Although the liquid in these products isn’t likely toxic, it tastes really bad and makes pets salivate excessively and act strangely. Keep decorations—like streamers and fake spider webs—and wires and chords from lighted decorations out of reach of pets. 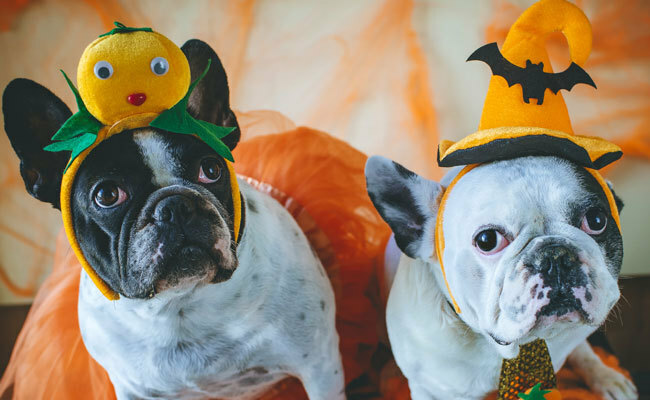 If your pet is wary of strangers or has a tendency to bite, put him or her in another room during trick-or-treating hours or provide him/her with a safe hiding place. Keep your dogs and cats safely indoors on Halloween. Cats—black ones in particular—often fall victim to pranksters. Don’t let the family dog accompany the kids on their trick-or-treat outing as dogs can get scared and break free. Next Next post: Does Your Cat Have What it Takes to do Therapy Work?